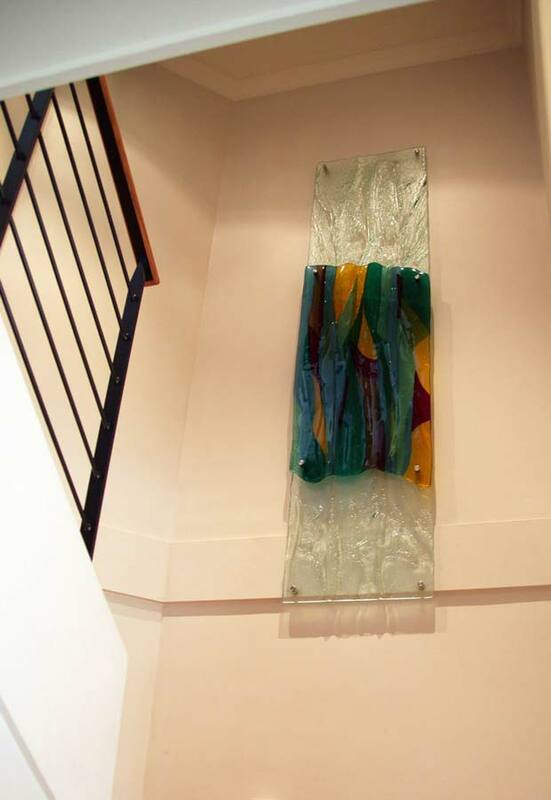 A second job for this client, following the exciting and structurally innovative privacy screen we had made before. 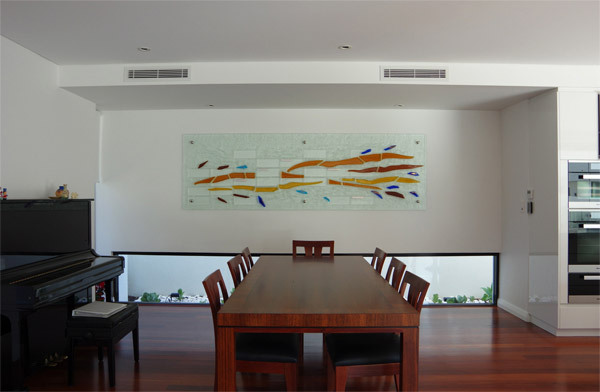 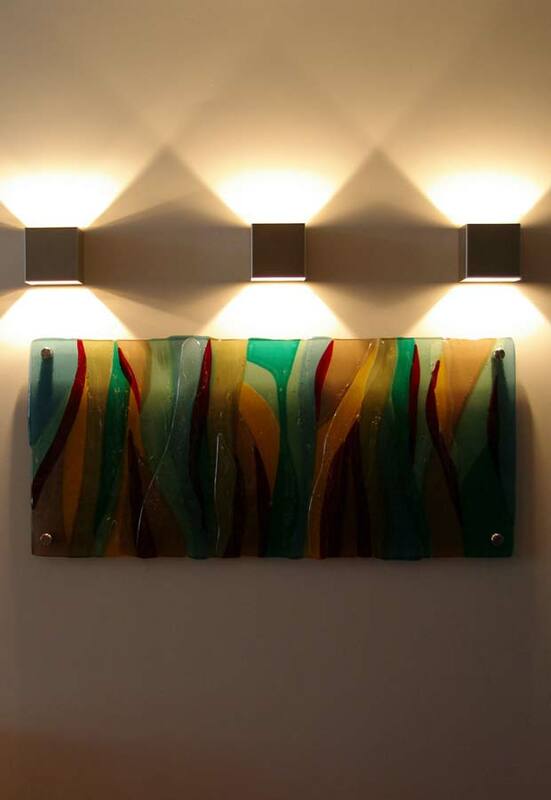 This wall feature panel, using fused glass mounted to a slumped glass substrate, was designed to reflect the previous work and tie together the design themes and the aesthetic, across the home. 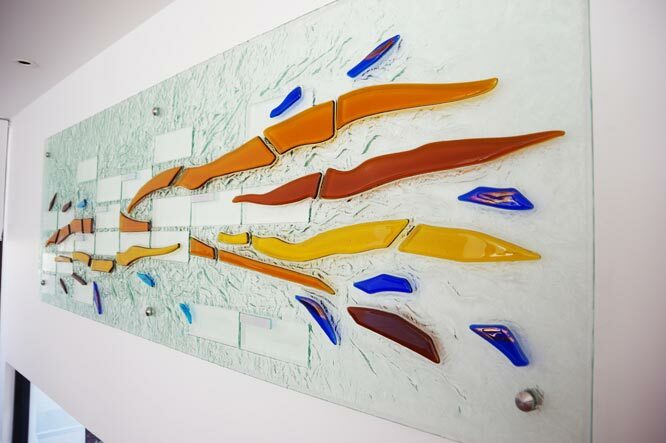 The golds and blue used were made of kiln fired glass to give them smooth edges and unique undulation. 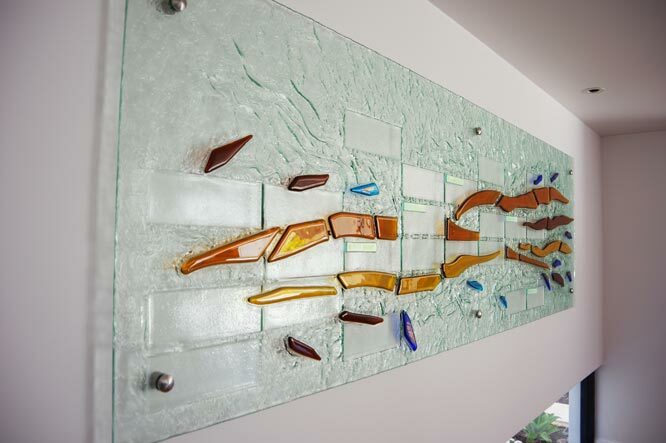 Copper was then fired into the surface of some components to highlight the effect of the spreading glass. 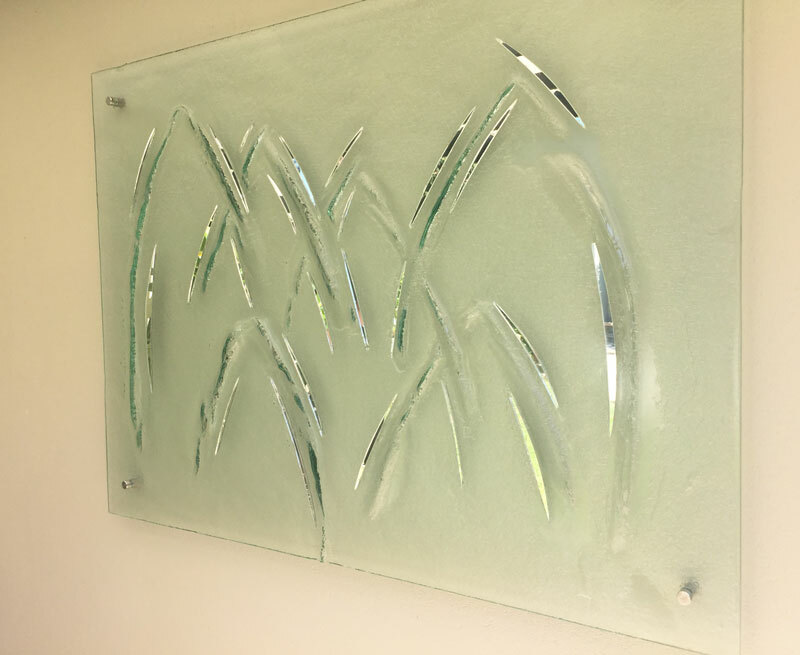 Using a variety of techniques and process, we aimed to give this panel a unique flair while tying it in with the previous design. 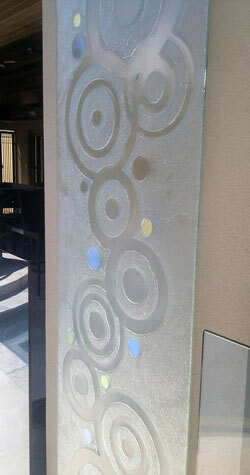 Bringing these panels together was a great project for the team here at Perth Art Glass. 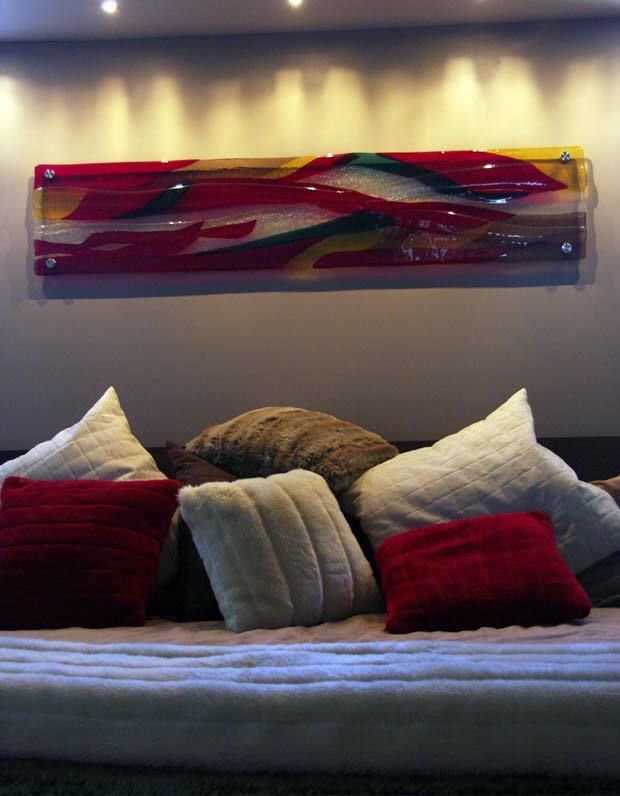 Bringing two separate works of art together is always tough, but we believe it really tied together.